Replace your boring silver cocktail shaker with one that’s bound to stir up some good conversation. 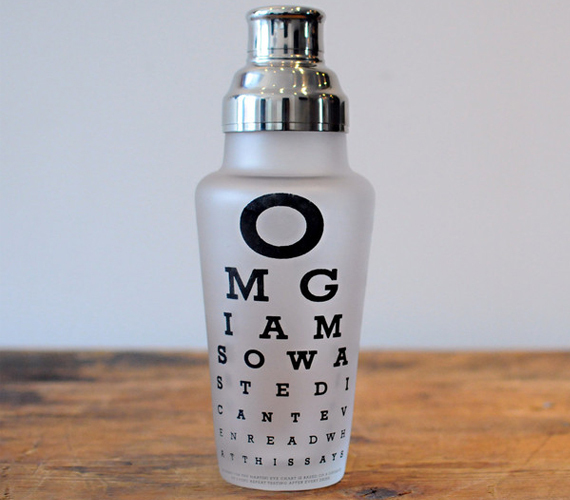 The Eye Chart Cocktail Shaker features an eye chart meant to help you keep track of how drunk you are. If you can still read “OMG I am so wasted I can’t even read what this says” then you’re good for another drink.